The next Cotswold Line station in line for improvement work is Kingham, where foundations for a new waiting room are being prepared. The new building will be on platform 2, providing shelter for passengers travelling towards Oxford and London. It will replace a smaller structure dating from the mid-1970s, when British Rail demolished and replaced buildings provided in the station's Victorian heyday as a busy junction, when routes diverged to Chipping Norton and Banbury to the east and Bourton-on-the Water and Cheltenham to the west. 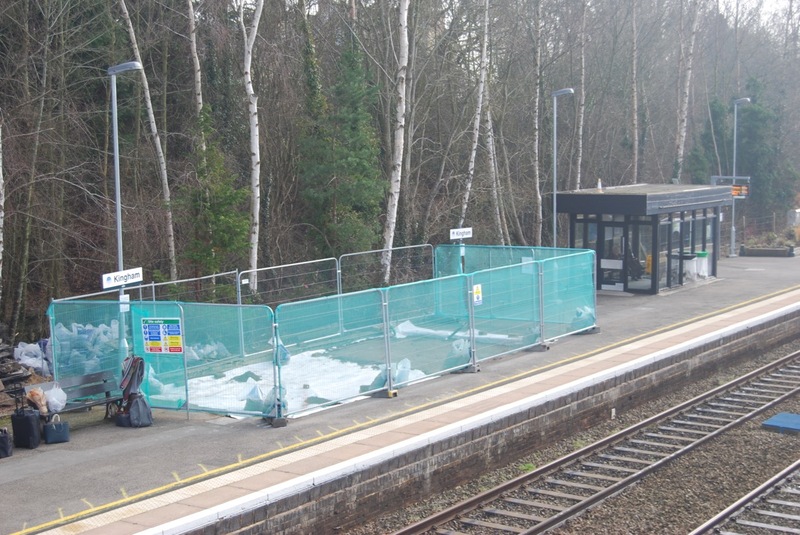 The waiting room will be close to the new footbridge erected in 2016 to replace a life-expired footbridge at the southern end of the platforms. It is expected to be ready for passengers to use in the spring. The CLPG is continuing to press the case for lifts to be added to the footbridge, to allow disabled passengers to use platform 2 and make it easier to reach for people travelling with heavy luggage and prams.